As part of Carnegie Hall’s citywide festival The ’60s: The Years that Changed America, The Museum of Modern Art in New York presents a film series celebrating the use of avant-garde and modern classical music in international cinema between 1955 and 1973. A follow-up to MoMA’s 2008 exhibition Jazz Score, the series features the film work of John Latham, Pierre Boulez, Daphne Oram, Yoko Ono, Arvo Pärt, Steve Reich, Tôru Takemitsu, Edgard Varèse and other revolutionary composers of the 20th century. 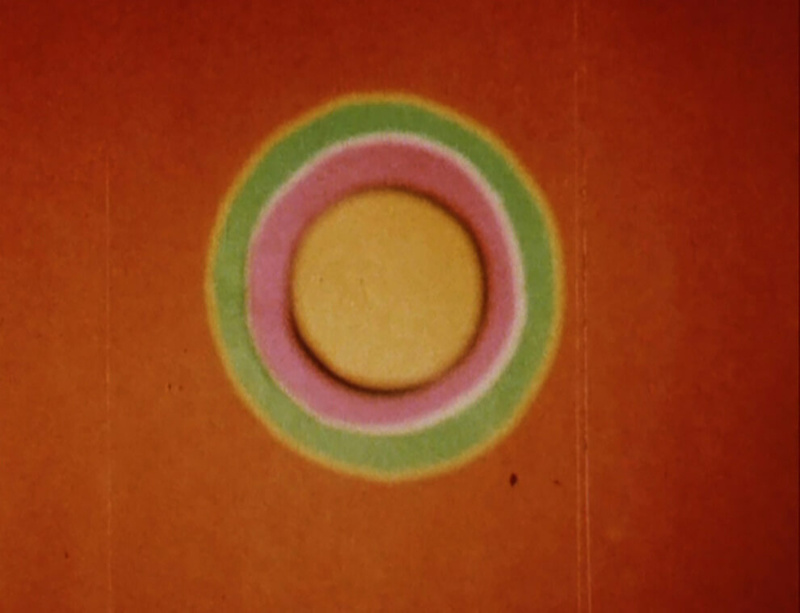 In Latham's 1962 film, Speak, round coloured discs appear and disappear, layered over one another at a rapid speed. By leaving intervals of clear film the artist gave Speak a flashing, strobe-like effect. The ten-minute film was first projected during Pink Floyd's early performances at a church hall known as The Tabernacle in Notting Hill Gate. However, Latham ultimately created his own soundtrack, placing a microphone on the floor to pick up the rhythm of a circular saw he was using to cut up books. The result is a harsh, metallic white noise layered beneath frenetic sequence of light. For more details about the screening, visit MoMA's website.